North Korea could deliver a “fatal blow” to the 2018 Winter Olympics if it launches a missile or stages another provocation before the event, a South Korean minister warned Thursday. Unification Minister Cho Myoung-Gyon made the remarks as reports said annual South Korea-US military exercises might be postponed to avoid coinciding with the winter games and paralympics in South Korea’s Pyeongchang. “If the North provokes again at a time when the Olympic Games are imminent, it may deal a fatal blow to the Olympics,” he said at a forum in Seoul. 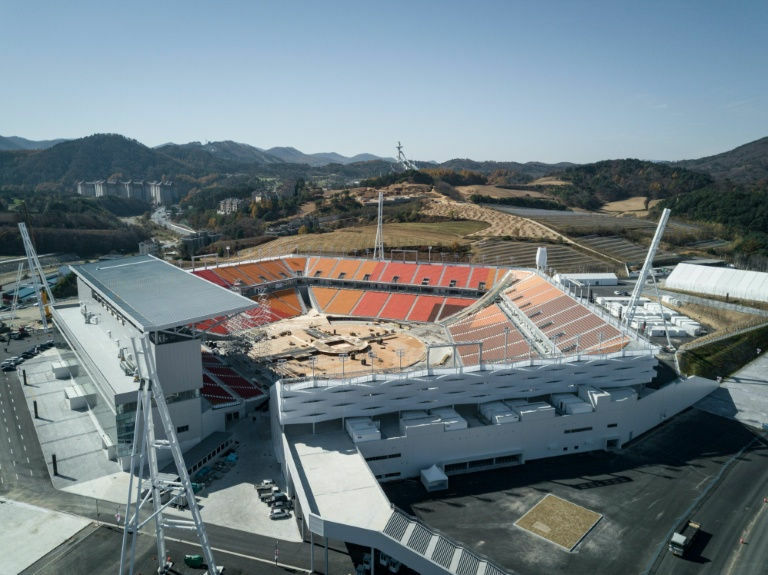 “Therefore it is important to stage the Pyeongchang Winter Olympics in a stable atmosphere”, he added. The world’s largest winter sports festival takes place from February 9 to 25, 2018. The Paralympics are scheduled to begin on March 9. Both will be held in the mountainous resort town of Pyeongchang, 80 kilometres (50 miles) south of the tense border with North Korea. The annual military exercises, codenamed Key Resolve/Foal Eagle, usually start late February or early March and run until the end of April. Tensions tend to rise during the drills, which are condemned by the North as rehearsals for invasion. North Korea has invariably reacted angrily to the exercises, conducting its own military drills including missile launches. Yonhap news agency, quoting defence sources, said Seoul may request the postponement of the joint US-South Korea exercises to avoid overlapping with the Olympics. But the presidential Blue House said it has not discussed this or made any decisions on the matter. North Korea on Wednesday launched a new intercontinental ballistic missile which it says will bring the entire US territory within range. The US on Wednesday warned the North’s leadership will be “utterly destroyed” if war breaks out and called on countries to cut all diplomatic and trade ties with North Korea — including Chinese oil supplies.